All right, I kind of got from 1d4chan that the Ordo Reductor from the Mechanicum faction of Forge World's Horus Heresy series has gotten a massive revamp, turning from the most limited and tiniest list to the one with most options. Whoopee. Except that I don't play Ordo Reductor, I'm more of a Legio Cybernetica guy. Oh well. Anyway, I'll go through the changes. I already gave you guys the Age of Darkness Battle Force Organization Chart in my last post, so no need for me to repeat myself here. Legio Cybernetica seems to be using the same FOC, so not much changes there. Seems pretty cool to me. But what changed for Legio Cybernetica is that...well, I think it becomes a Rite of War, with its own unlocks and restrictions. Let's see. What does the new Mechanicum: Taghmata Army List do for the Legio Cybernetica? Unlocks the Archmagos Dominus. Magos Dominus costs 10 points more, gains Feel No Pain, and has some rule that allows him to join a unit with Monstrous Creatures as long as they have a cybernetica cortex. Seems like Archmagos Dominus is a separate entry. 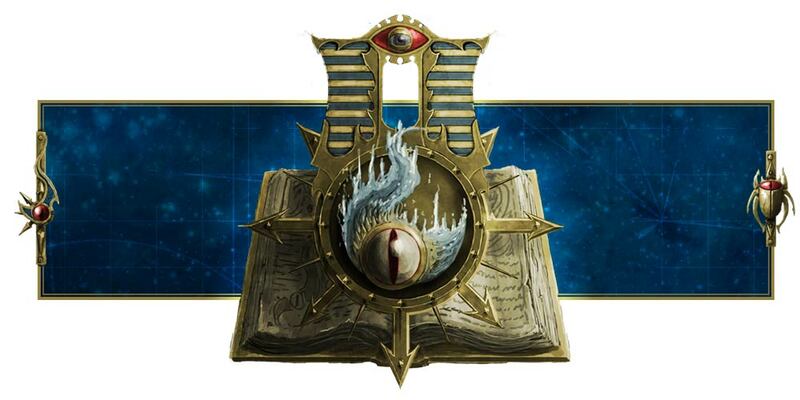 The Magos Dominus or Archmagos Dominus must be my compulsory HQ. No complaints with that, I would have chosen him over anyone else. If I don't have any units with cortex controllers left when the game ends, my opponent scores D3 victory points. WHAT?! Compulsory troops choice must be Castellax. Well, duh, that's the whole reason why I'm playing Legio Cybernetica in the first place, to use these awesome robots as troops. WOOHOO! Here we go! Well, the cost is pretty steep, though. Castellax's base cost has gone up by 20 points, and I must take at least 2 Castellax Battle-automata per troop slot. Meaning at least 4 Castellax robots in my army. Oh boy. My points are hurting. Fast Attack and Heavy Support slots must have at least one unit with cybernetica cortex. Then only I can take other options. No need for that, the whole reason why I'm playing Legio Cybernetica is to field my Thanatar siege-automatas! HELL YEAH! I'm gonna put at least 2 of them, each with Paragon of Metal! Nah, not interested in Myrmidon Destructors, sorry. I want my Thanatars. All models with cybernetica cortex has +1 initiative. In other words, I can turn my Castellax troops into a wrecking assault melee monster maniple! YES!!!! I want to see this happen! Lemme see, if I were to cast Cybertheurgy, Rite of Fury, my Castellax robots will be destroying utterly everything in melee/close combat! I look forward to seeing that! Cortex controller and Cybertheurgy ranges are increased to 24" range for all my Legio Cybernetica units. Awesome. Well, not much use for my Thanatar robots because they have Paragon of Metal, but very useful for my paired Castellax robots. Awesome. I already have the Lord of War, my Knight Paladin or Knight Errant. I'll use either of them as my Lord of War, but I think I prefer the Questoris Knight Paladin so that I can use his 3-shot Questoris battle cannon. Lots of awesome. YES! Right now I have two options of building my army. I can either buy the Cybernetica battlegroup and purchase an Archmagos Dominus, 4 Castellax robots (2 with multimeltas), 6 Thallax shock troopers and 1 Thanatar. And then I'll buy a second Thanatar to complete my army, rounding it off with a Lord of War Knight Paladin. So something like this. Sounds pretty good to me. But I want Darkfire cannons, and I'm not a big fan of multimeltas or Thallax Shock Troopers, and I want 2 different types of Thanatar robots rather than just the same. So if I were to give up on the discounted bundle and buy whatever I want instead, I could still end up with a very similar list except for the Thallax cohort. This sounds more appealing to me somehow. Furthermore, casting Cybertheurgy on 3 Castellax Robots and giving them Rites of Fury, +1 to initiative, Hammer of Wrath...well, if it turns out to be a mishap, that would be bad and furthermore I'll get a +2 to my dice roll for mishaps and watch as Malifica takes over and destroys my robots...or at least turn them into my enemy. Oh boy. A huge risk, but if it pays off, all 3 of my Castellax has extra 2 attacks - meaning extra 6 attacks. Plus Rage and Charge, and the 2 normal attacks, that's a total of 18 attacks in assault and 3 Hammer of Wrath. Not to mention I've S10 AP2 from siege wrecker, so it's a pretty scary thing to get into melee with these things. Furthermore I've a long-range 60" S10 AP2 lascannon on my Thanatar-Calix, so I have 2 different types of attacks. The other is the plasma mortar. Sounds pretty good to me. This list looks a lot more in line with my Cybernetica theem than having 6 Thallax Shock Troopers. I think. Well, it's only 6 pounds more expensive, but hey, that's affordable. I'm just worried about the complete lack of anti-air in my second list, but maybe I'll just ignore air units or something. The Thallax Shock Troopers seem to do a much better job of anti-tank than the Thanatar-Calix and I do need scoring troops because the Castellax robots no longer score. We'll see. I have plenty of time after all. I can slowly come to a decision while buying the Mechanicum: Taghmata Army List. Anyway, I'll do the entry for Ordo Reductor tomorrow, with its rules and references. Praise the Omnissiah!